Stuckylife |: Phillips Beer Ride Returns Monday Night! Phillips Beer Ride Returns Monday Night! The weather forecast looks great for tomorrow night's return of the Stuckylife x BSC Club ride! 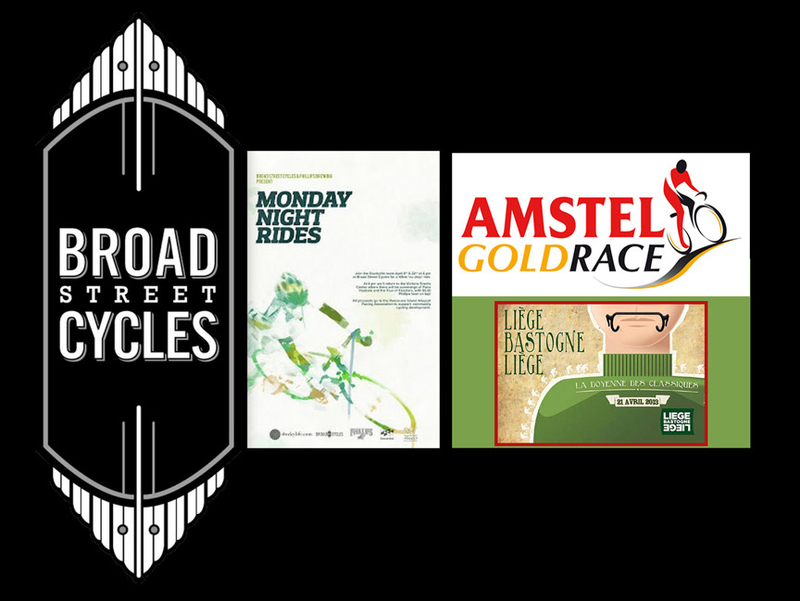 Phillips Beer and the Victoria Event Center have stepped-up big-time once again to set us up with super-cheap pints of delicious brew and a great place to watch Amstel Gold and Liège-Bastogne-Liège after the ride. For those of you who have never watched a Classics race in the same room as Halldór (with beer), be sure to be there tomorrow night. Don't forget to bring your signed club forms, waivers and fees tomorrow night if you haven't already. If you don't know what I'm talking about, click here. Monday night. 6pm. 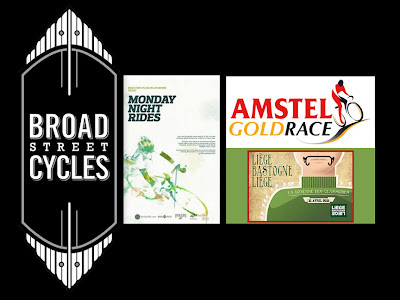 Broad Street Cycles. Thanks again to Phillips Beer, Broad Street Cycles, the Victoria Event Center, and the thirty riders who joined us for another awesome Monday night!